The 13 Days of Christmas Horror: LA Zombie Girl counts down her 13 Favorite Christmas Horror films, and The 12 Days of Christmas will never be the same! Happy Holidays my dark friends! Christmas will be here before we know it, and it’s time for some Holiday horror cheer to make the crowds at the mall, relentless displays of color and (oh, the horror) Christmas music, survivable. I must admit something to you all — shhh don’t tell anyone — I actually work at the mall as a Santa’s helper, shooting children with the Jolly Old Elf. I know what you’re thinking, naughty, naughty… no, not with guns — shooting photos with a camera silly! I know, I know…but zombies gotta work too. And, not sure if anyone has noticed, but if you mix up the letters, Santa spells Satan. Hmmm…….. There are more Christmas horror films than I thought, and I watched them all in the last few weeks. My poor eyes are tired and bloody! Since this is a Top 13 list, not all the Christmas horror flicks can be on the list, sorry. But, if you would rather find a severed foot in your Christmas stocking instead of candy, then this list is for you! Put on your worst Christmas sweater, get some snacks and cuddle next to the fire. I need movies like these to balance out my black heart and I hope they will help you stay cold-hearted by the fireplace! Enjoy some yuletide fear! My first in the countdown to Christmas, Holidays is not just about Santa, but all the holidays. Each celebration in this horror anthology is brought to you by a different writer/director duo. Well put together and gory fun to watch, there is something for every type of horror lover. The Christmas segment with Seth Green was terrific! Easter is pretty crazy too — that bunny will haunt my dreams forever! This is a film I missed last year, and I’m glad I found it now. It will make you look at all holidays a bit differently, to say the least. My next offering on the list is for those so busy working late on Christmas Eve, that something bad must happen to them. Doesn’t everyone know that? Parking garages are pretty creepy all by themselves, and P2 is no exception to the rule. Instead of fun with the family, our hardworking girl Angela gets to have dinner-in-handcuffs with her office building stalker. Not a super original movie premise, but getting locked in an empty parking garage with a psychopath is a terrifying thought. P2 kept me on edge waiting to see what kind of revenge she would finally give to this piece of work dude that has her trapped. The song Blue Christmas will never sound the same to me and I think I would like to have someone walk me to my car from now on in parking garages, although that might not have actually helped in this case. 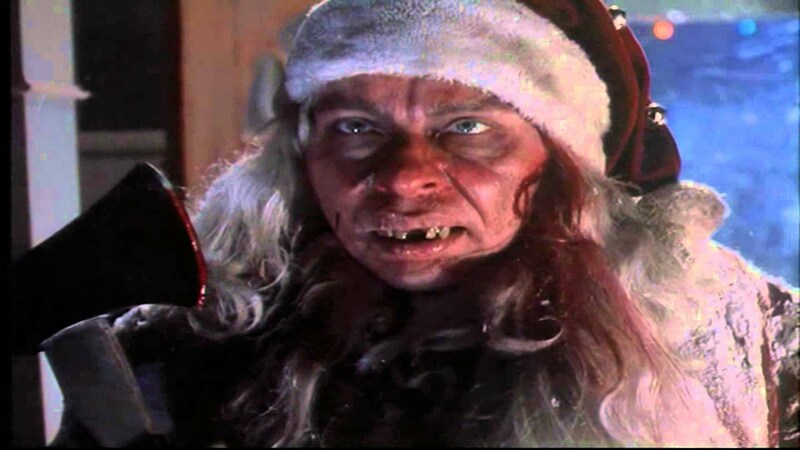 Tales from the Crypt gave me my introduction to Christmas horror. I’ve always enjoyed the stories from our favorite crypt keeper and I loved the And all Through the House segment! On Christmas Eve, mom puts her daughter to bed and then kills her husband with the fireplace poker. A regular Christmas party, right? 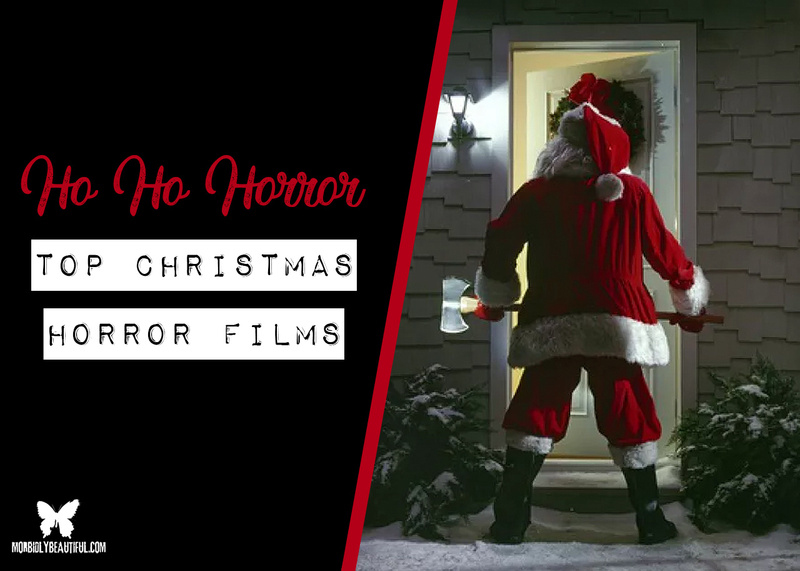 As she disposes of the body, her daughter helps her recover the Christmas spirit, when she invites a demented Santa into the house! Sorry Mom. PS: The CD of Crypt Keeper songs, Have Yourself a Scary Little Christmas that came out in the 90s is amazing too. Out of print, but if you can find it — quite the little Horror Christmas music gem! Todd Nunes directs this Scream Queen packed, throw-back slasher flick that is hard not to love. The colors and traditions of Christmas are beautifully over-done! 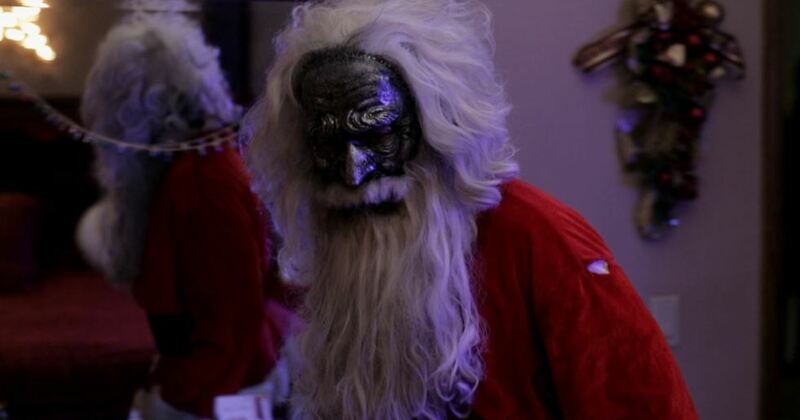 The plot follows a deranged masked Santa Slasher who comes to town for some yuletide terror. Santa leaves a trail of mutilated victims on the way to the front steps of the towns most notorious murder house. Ashley Mary Nunes, Melynda Kiring and Jessica Cameron are a few of the scream queens you’ll see. I loved the great twist at the end. May your Christmas be gory and bright with All Through the House! This movie never gets old for me. I have always thought how cool would it be to be the person who got to put costumes on all the Gremlin puppets! Also, if you want to hear the worst Christmas story ever — the one about the girl’s father in a red suit, who got stuck in the fireplace while playing Santa and they didn’t find him ‘till they could smell him… wow. That poor girl doesn’t believe in Santa anymore! Not originally billed as a horror movie, Gremlins has always been a dark twisted comedy to me. When something as cute and cuddly as Gizmo can turn in a monster, then it’s horror! But no matter what, it’s a Christmas classic that needs to be watched every year. Because of language and violence (like Gremlins being killed in the microwave), it was one of the movies that prompted the creation of the PG-13 rating. It’s a kid movie, better suited for adults. A fun thing to do while watching — see how many pop-culture icons you can spot in this film! Also, if you get any weird pets for Christmas this year, don’t expose them to bright lights, don’t get them wet and do not feed them after midnight. My other, gotta watch every year flick! I love this movie so much! 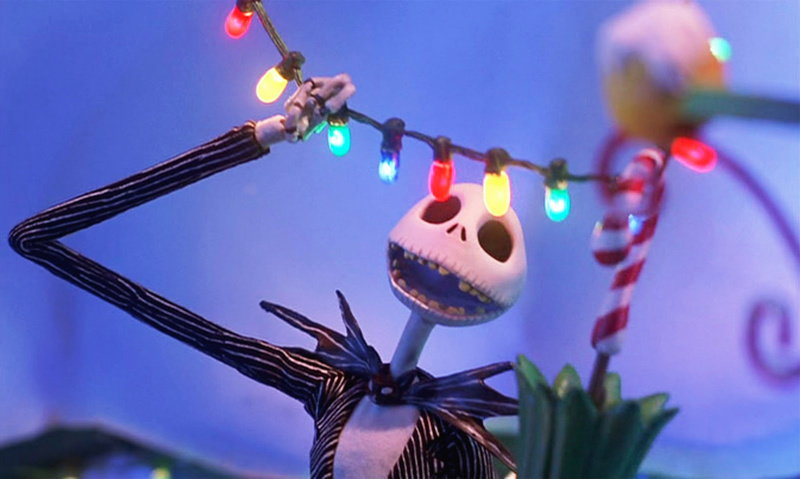 Danny Elfman’s music combined with Tim Burton’s brainchild is just so much holiday wonder. 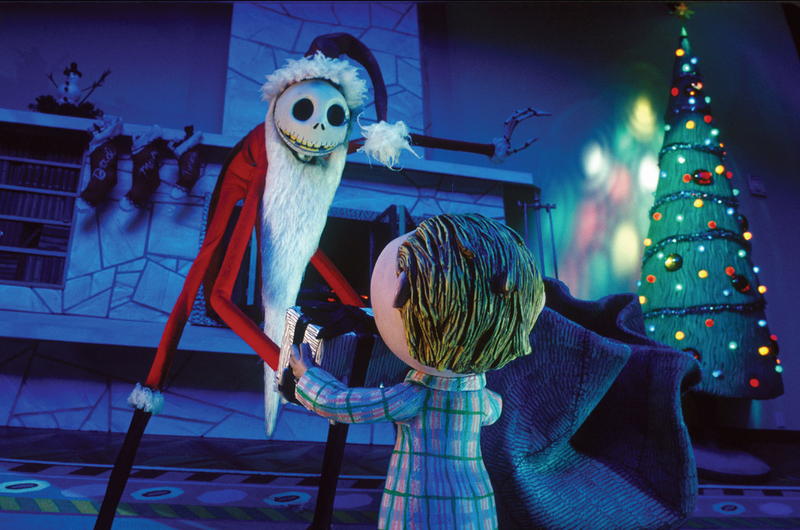 When Halloweentown’s Pumpkin King, Jack Skellington discovers the doors to other holidays and finds Christmastown, we see what happens when Halloween and Christmas collide. Jack decides to play Santa Claus himself and finds that it’s harder to do the job than he thought. For Halloween lovers like me, this mash-up of both holidays is dark, funny and a beautiful film to watch anytime! This Finnish version of Santa Claus, or whoever this guy at the North Pole is, is a terrifying adventure that makes you think. “If something is buried deep in a frozen place, maybe it shouldn’t be dug up?” Just saying. Santa is real and he’s a monster, that when unearthed, eats children, reindeer and his elves are old gross feral men. This Santa is malevolent, hungry and awful, and with him out there, I promise to be good! Really good! I watched it with sub-titles, but even in Finnish, you will know what’s going on. Not good to watch alone in the dark. My recommendation — watch with a friend and be good, for goodness sake! When a family gets together for the holidays, they shouldn’t let a little thing like their children getting sick, becoming deranged killers who pick off the relatives one by one, ruin the holidays for them, should they? Taking out these baby-faced killers is hard for the parents — its their own little kiddos, and they can’t see beyond that. Too bad for them. The acting is much better than most little kid killer movies, and you will really want these little monsters to die. I did; I totally rooted for the parents! A new movie for me this year, I enjoyed seeing the family get torn apart literally, instead of most families, who just destroy each other psychologically during the holidays! Little Billy is left traumatized when a man in a Santa suit murders his parents. Add in abusive nuns that raise him, and his PTSD is just waiting for a trigger to set off his holiday killing spree. Silent Night, Deadly Night is your most basic of Santa slasher films and an 80’s classic. Not the first to do it — but this is my favorite. I love the first film in this franchise. There are more, but I wouldn’t suggest bothering with them. I love this film. It filled the niche for a Krampus vs Family dark comedy. The Germanic dude with horns, claws and tons of hair is not to be messed with! He is not a happy camper if you lose your Christmas spirit. Chances for naughty children to get tossed into sacks by him and eaten are very likely. 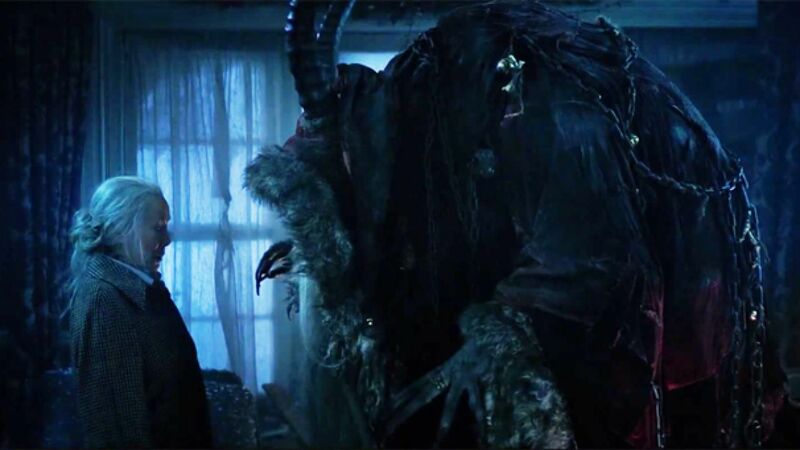 Krampus is sort of like a dysfunctional, bitchy Griswold type family meet The Grinch, but worse. Santa Claus is not coming to town this year- watch out my naughty ones! Check the snow globe! 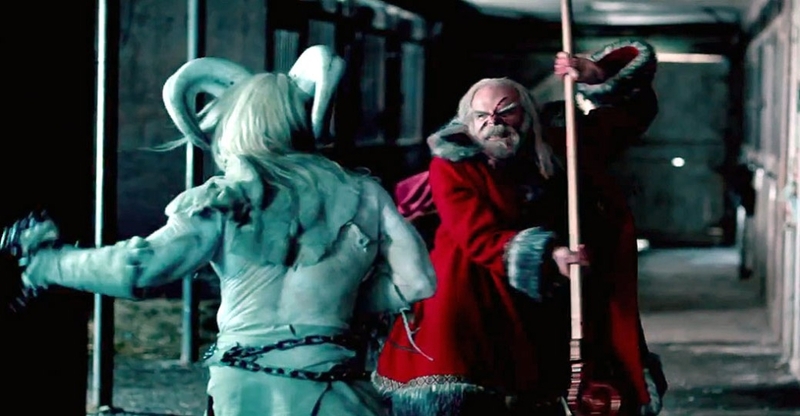 Not even Santa is safe from evil in A Christmas Horror Story. William Shatner — a festive radio host — brings us the interwoven stories of a terror filled Christmas Eve in the small town of Bailey Downs. High school students make a documentary about a mysterious homicide the year before and find a ghostly nightmare. A changeling, Krampus and zombie elves added in, make this a holiday horror to remember. A Christmas Horror Story is bound to become a horror classic. I mean, Santa killing a zombie elf with the head of another elf as a weapon. That, is real Christmas Spirit my dark friends. I saw the 1974 version of the holiday classic the same night as The Exorcist. Black Christmas was the one that left me checking dark corners, yelling “No, don’t go upstairs stupid” and feeling truly shaken! 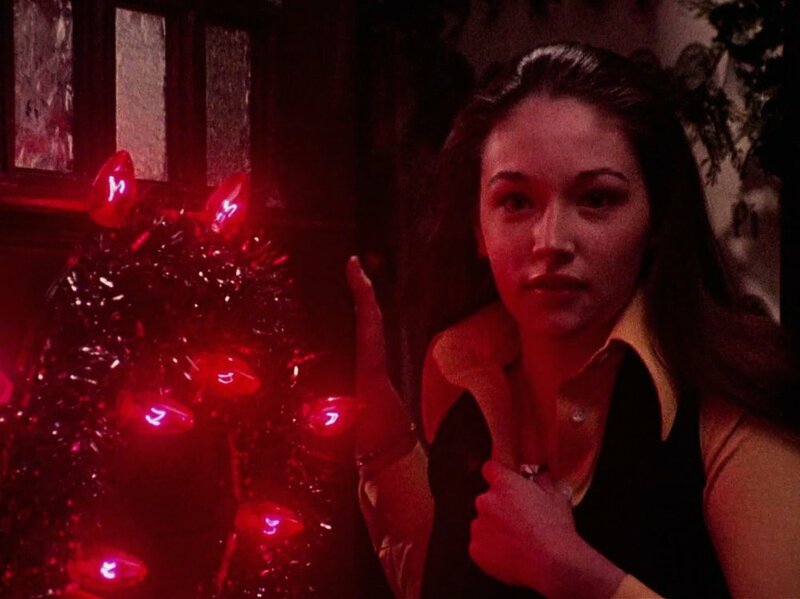 While not the best horror movie ever made, Black Christmas usually ends up as my number one, because of the dead girl in the attic and the tune our demented killer hums. Both visions have haunted my Christmas holidays, instead of sugar plums, for as long as I can remember. If you want a more modern version, the 2006 edition is well done too. They don’t try to make a carbon copy, it is totally an acceptable remake, and I can’t say that about most horror second-time-arounds. Bonus for gore lovers, the newer version has a much higher and grosser body count. All college students need to watch Black Christmas on their holiday breaks! I just got to watch this new movie, and I’m excited to place it number one on my list. This is truly a film to show all would be babysitters to decide if they really think this should be their chosen profession. 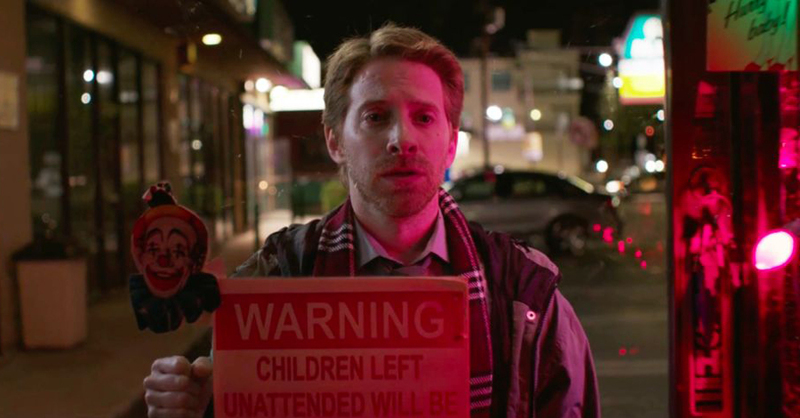 Better Watch Out takes the Christmas holidays to new wrong places complete with bad Christmas sweaters, clever weapons and teen angst, without the parents even knowing what’s going on. In this comical, Home Alone meets The Strangers mash-up, our new evil serial killer will surprise and delight all of you dark hearted fiends. It is a combination of all that Christmas horror is and so much more. 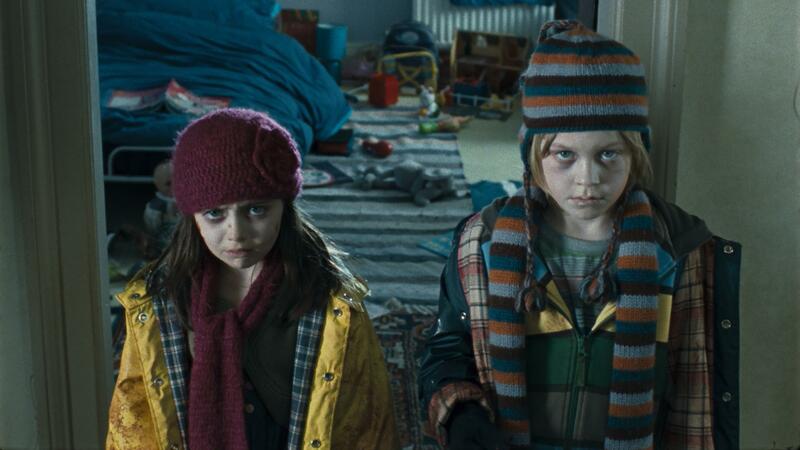 Some terrific acting from our teen stars make this my favorite holiday horror flick this year. Watch out babysitters! Christmas tends to bring out the worst in some people, so hopefully this list of old and new holiday horror classics, full of demented Santas, demons, naughty people and other horrible happenings, will help you keep it together as you brave the happy, shiny, plastic world, this time of year. Gory Holidays, Scary Christmas, Ho Ho Ho, Deadly Yule, Falalalala or whatever works for you all! Cheers! Please note: all comments go through moderation. Starting when she saw “Night of the Living Dead” Vicki Woods, AKA Los Angeles Zombie Girl, was hooked on Horror. Getting the chance to be in a zombie flick years later fueled the zombie obsession, her “inner zombie” was released and LA Zombie Girl was born! Her company SCATTERED BRAINS offers SFX makeup and other fun horror items like ZomBarbees, and she does some truly disgusting things to dolls and teddy bears! Horror fans love them! Full of useless information and the desire to tell stories, Vicki hopes you enjoy her thoughts. You can email her at zombies.vicki @aol.com.